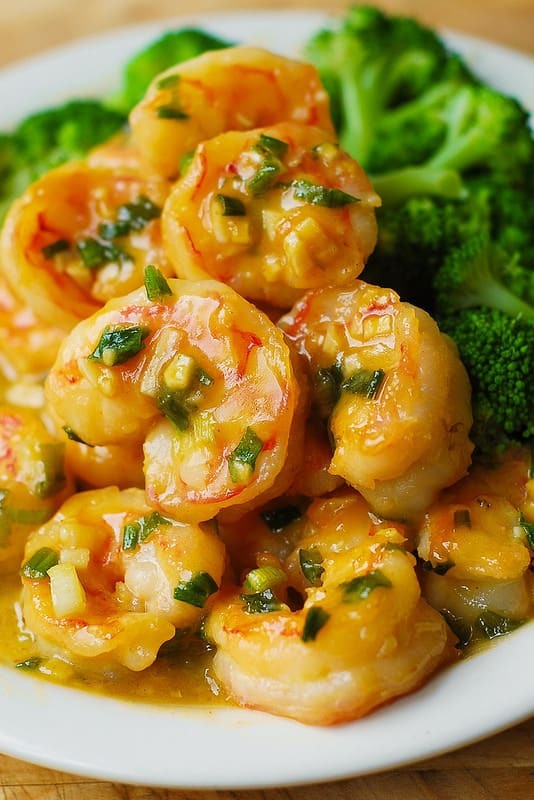 Honey Mustard Garlic Shrimp – a delicious seafood recipe that’s super easy to make! 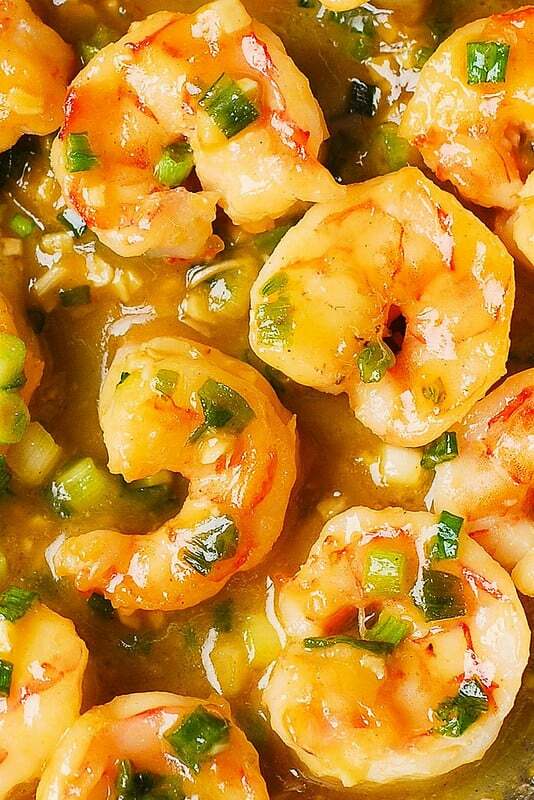 Honey Mustard Garlic Shrimp – easy shrimp recipe that takes maximum 30 minutes to make, most likely even quicker than that! Big, jumbo shrimp is best to be used in this recipe. I served this shrimp to 4 people, including myself, as an appetizer, and everybody loved it! You can definitely serve this as dinner for 4 people, if you add side dishes, such as steamed or blanched veggies or greens, pasta, or rice. 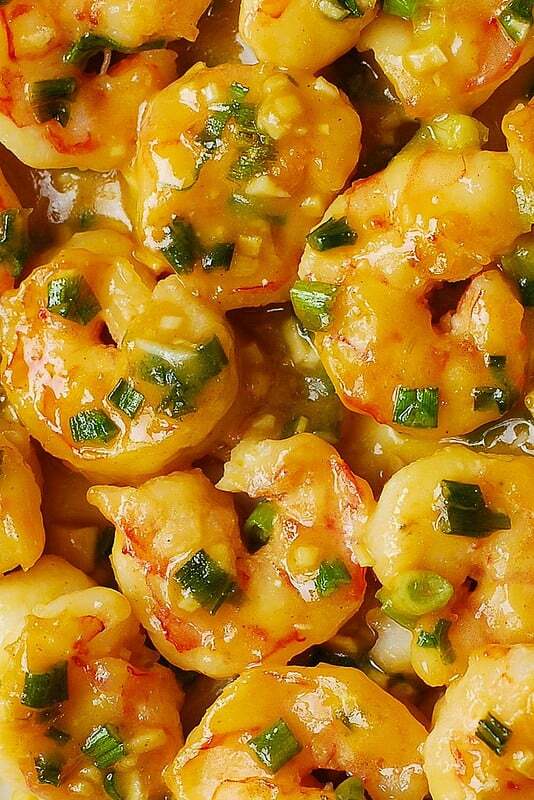 Enjoy this easy shrimp recipe! 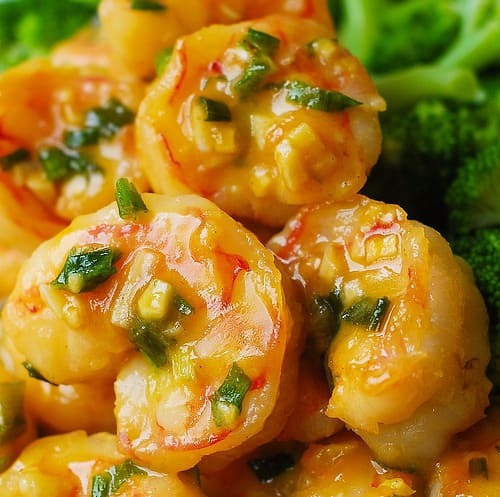 Honey Mustard Garlic Shrimp - easy recipe that takes only 30 minutes from start to finish! In a small bowl, combine honey, Dijon mustard, minced garlic and stir to combine. In a large skillet, heat olive oil on medium high heat. Add shrimp, sprinkle with salt, and cook it on one side, without flipping, on medium-high heat for about 30 seconds. Flip the shrimp to the other side. 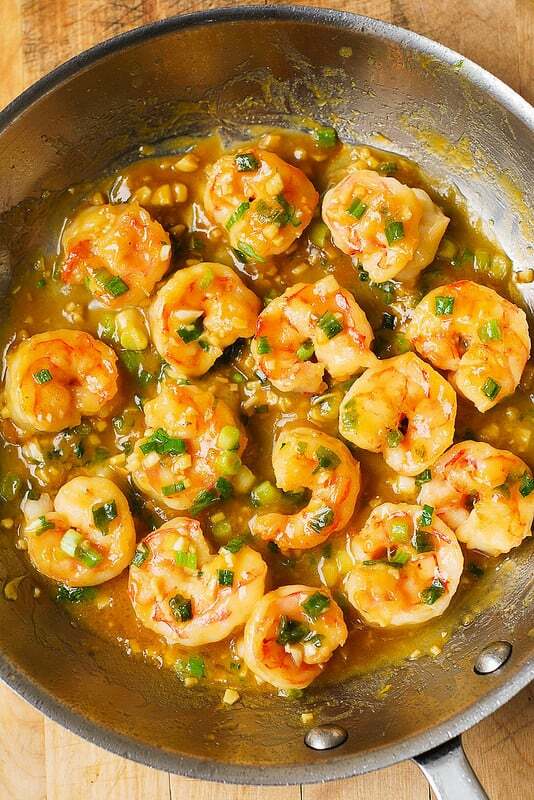 Add the sauce from step 1 and chopped green onion to the skillet and cook shrimp for about 1 more minute, in the sauce, on medium high heat, stirring occasionally. Remove from heat. Serve as is, or with blanched or steamed veggies or greens. This looks so great! Dijon mustard is so delicious and one of my favorite ingredients to add to a dish. Thank you for sharing! Can you use cooked shrimp. ?